While visiting Ireland’s islands, you can look forward to a warm welcome and a window onto a more traditional way of life. Skellig Micheal is located 12km off the coast of Kerry. The island is home to a ruined monastic settlement, dating from the 6th century. 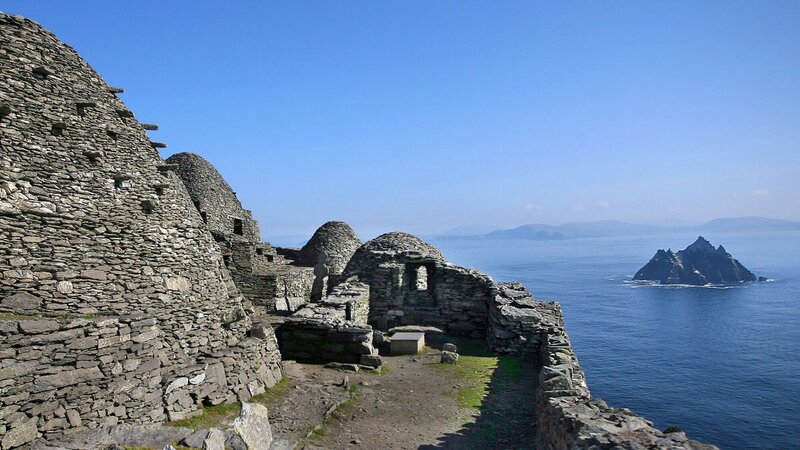 A UNESCO World Heritage Site, Skellig Michael remained inhabited until roughly the 13th century. The stone beehive huts built and used by monks can still be seen today. 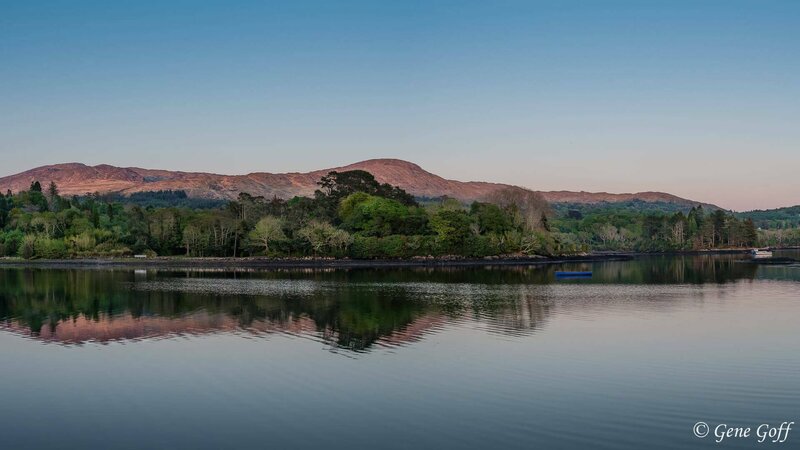 Garnish Island enjoys a warm microclimate due to its sheltered harbour location in West Cork. 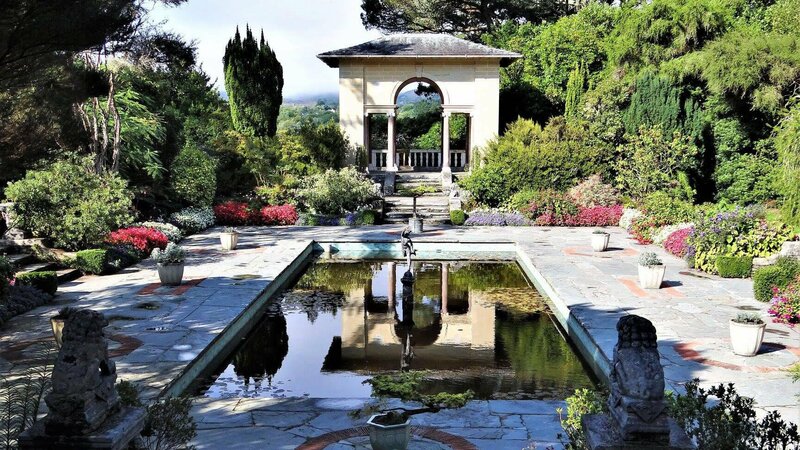 Exotic plants flourish in the Italianate gardens here. On the short boat trip to Garnish Island, keep your eyes peeled for cheeky harbour seals. Explore Garnish Island’s beautifully landscaped gardens on our Driftwood Tours. 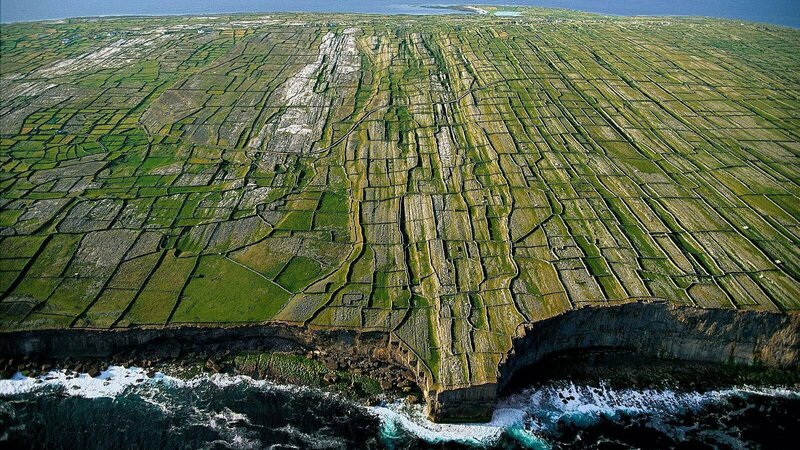 The Aran Islands are a group of three islands off the coast of Ireland. Inis Mór, Inis Meain and Inis Oírr are all reachable by ferry. Aran culture has been a source of inspiration for artists throughout the years. J.M. Synge famously wrote about the Aran islands in the early 20th century. 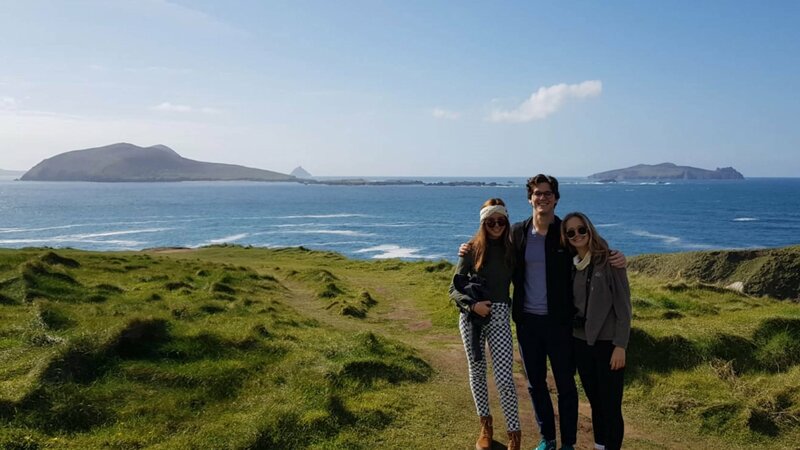 Our tours don’t visit the Blasket islands. We may be able to accommodate you on our private tours. 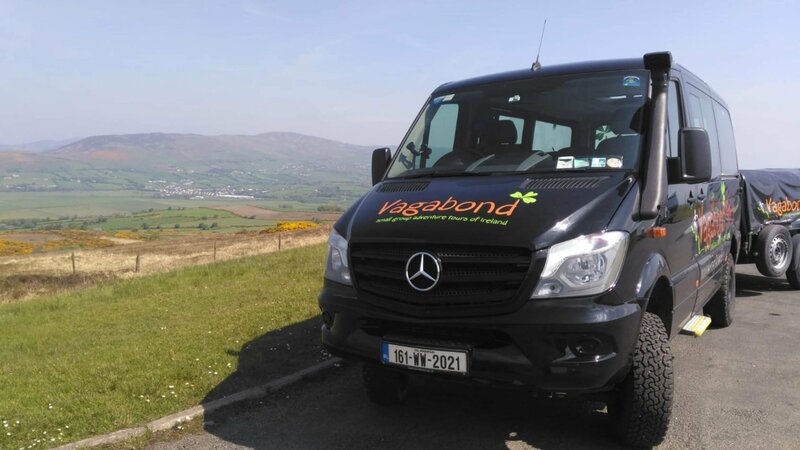 Contact us on info@vagabond.ie for more details. The Blaskets are a group of tiny islands off the coast of Ireland. Today, the islands are uninhabited. 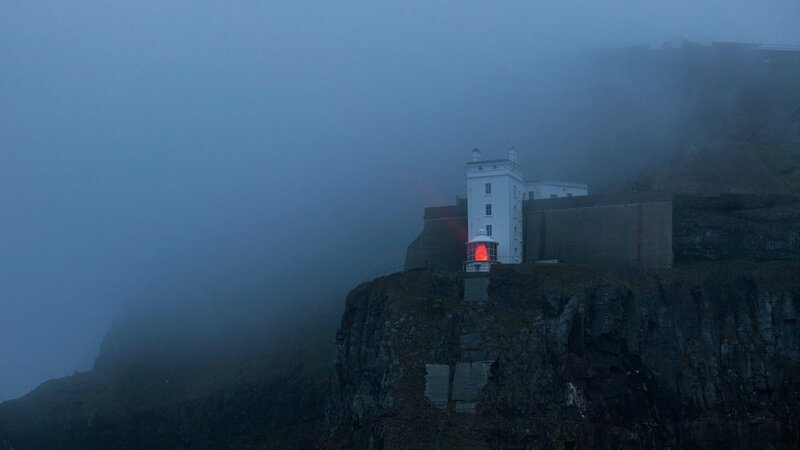 Harsh living conditions forced the evacuation of the Blaskets in 1953. Many islanders emigrated. Interestingly, in the USA, Blasket islanders congregated mainly in Massachusetts, around the Hartford area. 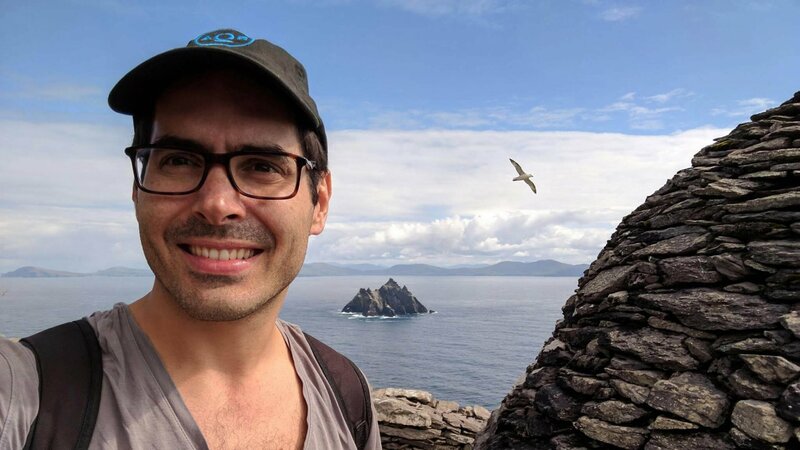 Interested in tracing your Blasket roots while in Ireland? A visit to the excellent Blasket Centre on Slea Head in Dingle is a must. Scattery is another great island off the coast of Ireland. After a short boat trip, get a guided tour of historical ruins, cute cottages and a round tower. Visit Scattery Island exclusively on our 7 Day Irish Castles and Kingdoms Tour. Rathlin Island is visible offshore as you tour the stunning Causeway Coastal Route in Northern Ireland. Unlike many islands off the coast of Ireland, historic Rathlin is still inhabited (population: 154 people). 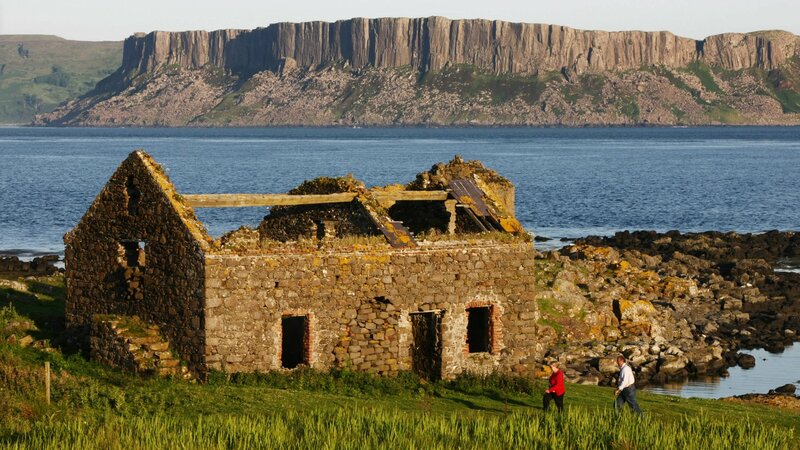 Rathlin Island an important bird sanctuary and is home to interesting archaeological features. 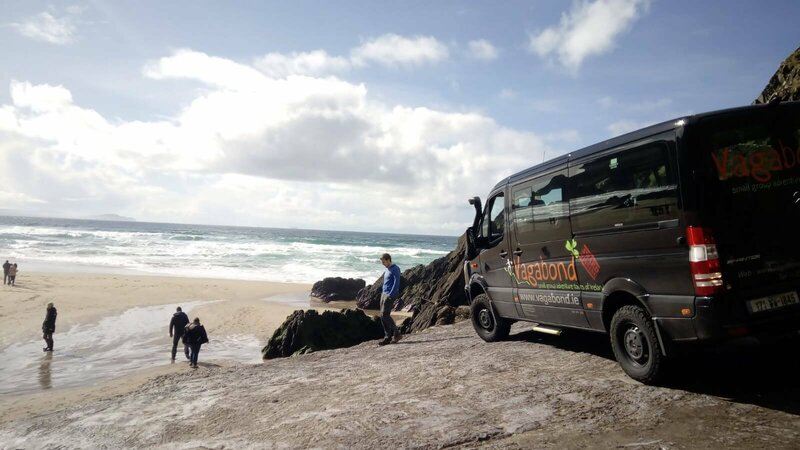 You don’t have to visit the Wild Atlantic Way to see beautiful islands off the coast of Ireland! 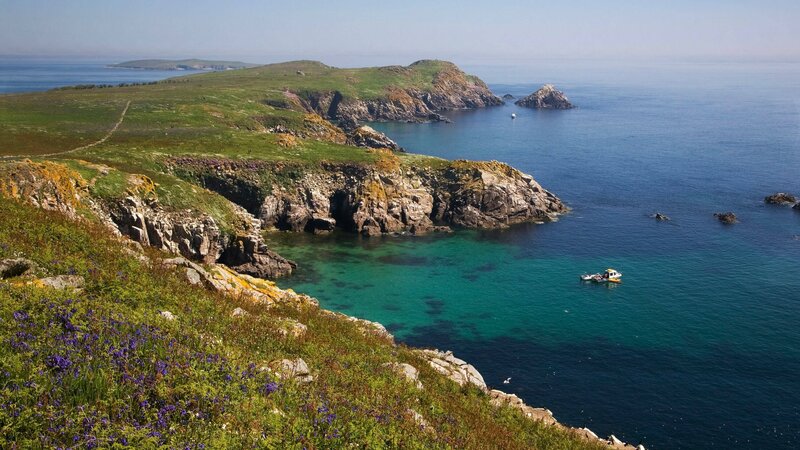 Lying just off Ireland’s southeastern tip, the rugged and uninhabited Saltee Islands play host to important seabird colonies and fishing grounds. Ireland’s Ancient East has its share of stunning vistas. Check them out in our dedicated blog post. Back in Dublin after your tour? Craving more islands off the coast of Ireland? 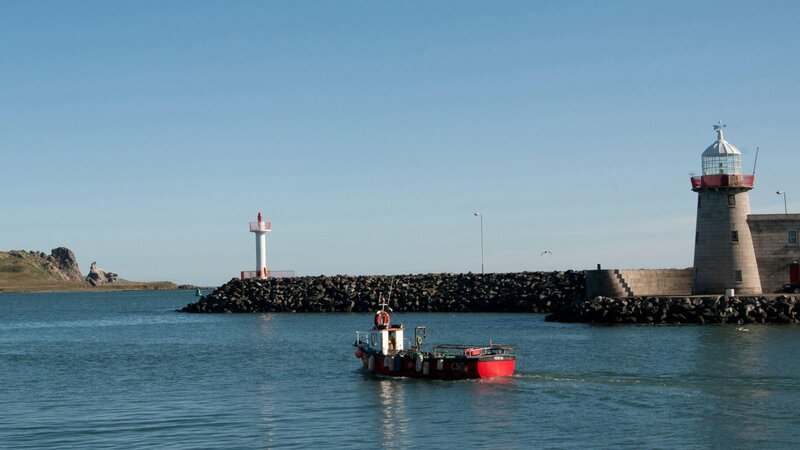 A scenic coastal train ride brings you to Howth – a fishing village on a peninsula in Dublin Bay. From Howth, you can take a very short boat trip to Ireland’s Eye. This tiny island has its own little beach, nesting seabirds and fantastic maritime views. After your trip, don’t miss tasting fresh seafood on the pier in Howth!